I just love how tulle makes you feel like a princess. This one has four layers of tulle – two layers are black and two are grey. 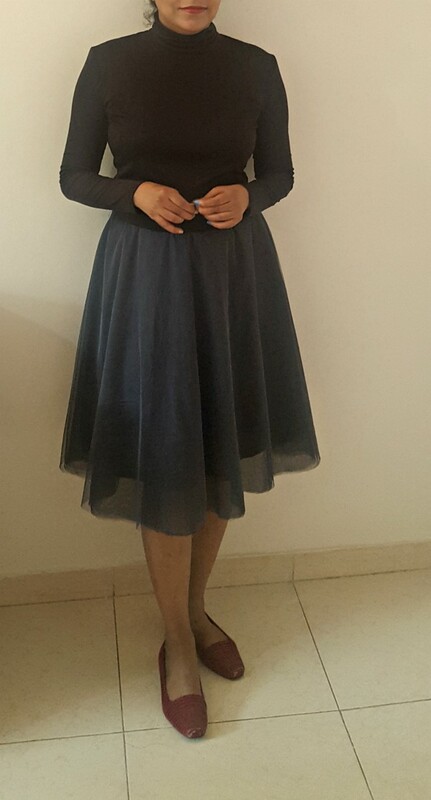 I used the half circle skirt pattern that I made here : Royal Blue faux wrap dress . 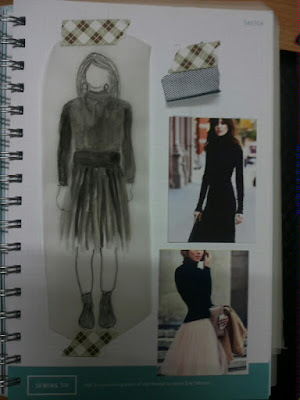 Though the dress was for my sister I could easily use the skirt pattern for me since we are almost the same size and the skirt is attached to a 2 inch elastic waistband so no worries there. 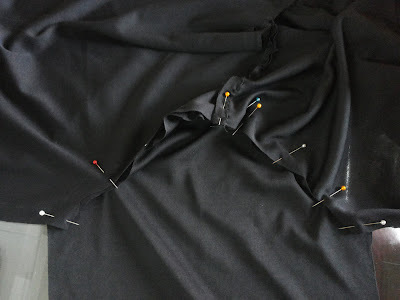 The skirt has a black satin lining and was quite a quick sew. Love how it turned out. Is made from my first jersey block!!! 🙂 Here’s the tutorial that I followed : Jersey Bodice Block and Sleeve block To the bodice I added a turtleneck following this tutorial : Drafting a turtleneck. This video by Threads was very helpful in sewing the turtleneck. iI used the stretch stitch and sewed the sleeves flat (the sleeves are sewed first and then the bodice side seams). This video is great for sewing sleeves flat. I’m getting more comfortable sewing with jersey. I used size 11 needles for this one since I just could not find ball point needles which everyone recommends. I think I will have to make some changes to the pattern for a better fit. But for now this one is completely wearable.